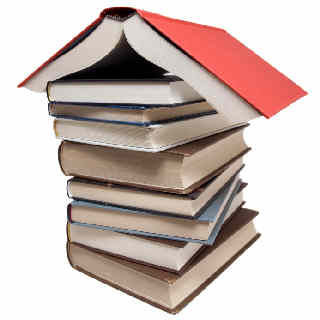 If you are looking for a good book to read this summer or want to get a head start on reading up on your upcoming semester classes, there are a variety of places to find books for extremely affordable prices or even for free!Now with new technology out like Kindle and other online downloadable book reading resources, hard books may seem old fashion to you. But there is something about the smell of a good book that brings people home and allows you to relax and release the world around you. In many cities in the US and Europe, there is a community book exchange policy: leave a book on the bench when you are finished with it for someone else to pick up and read. Then when you are done with it, you pass it on again. No reason to keep a ton of books you have already read, especially if you live in a small urban apartment. Share the knowledge! Bargain book sale racks at local bookstores are fantastic. Often stores will put books outside in a sidewalk sale where you can score them as low as $1. Its a great way to pick up something you hadn’t planned on but were interested in. Used book stores have these areas too. My personal favorite finds happen at garage sales, summer flea markets or the Goodwill. Some of the best finds for as little as 50 cents are found there- its well worth the hunt through all the other stuff. There are many online websites for used books with ratings attached so you can preview what others who have read it before you have to say. Then you can decide if you are still interested in buying. Online you can buy new or used and they generally ship pretty quickly. Excel Assist is the newest place to buy and sell new and old books for school or your general reading pleasure. Be sure to check it out! After reading this I thought it was very informative. I appreciate you taking the time to put this blog piece together. I once again find myself spending way to much time both reading and commenting. What ever, it was still worth it. Thanks for sharing! Make sure you stay around, there’s more to come.